1. NumberGarage™ Coupon Code (our favorite and #1 biased choice) – REALTORS® today have to step out in front of their peers to make things happen. To add value to their client relationships, we have REALTORS® that give NumberGarage™ COUPON CODES to their clients before their move. In addition to forwarding their mailing address, movers can forward callers to their new phone number or transfer their existing phone number with NumberGarage™. To request a custom coupon code, send us an email at contact@numbergarage.com from your Real Estate Group and tell us about your business. 3. Landing Pages – Populr.me is an amazingly simple tool for building landing pages. With this resource, REALTORS® can build a custom URL for every listing, then replicate or customize the page for each person they send the link to. We know Real Estate Pros who are able to watch the analytics on their Populr.me pages to see which buyer, or buyer agent is delivering value for their time invested in selling that home. Check this example out here. 4. School Fundraisers – REALTORS® support local schools all the time and schools need the money for their education initiatives. Real estate pros don’t have to have kids in that school they choose to support, or even have kids at all. The parents’ auxiliary President at each school in their local market is a great place to start. From there, REALTORS® can invest into that school by consistently supporting their fundraising events. 5. EMAIL – Yes, email remains a great way to consistently connect with prospects. TouchStream is an awesome tool for sending automated bulk emails with a personal touch. Want To Make a Smart Business Decision? Cut the Cord! Today, most businesses have their workforce on mobile phones that the business pays for. These companies often pay for landline phone service on their workforce desks too! We’ve found that our business clients have a difficult time making the decision to “cut the cord” with regard to their old landline phone systems due to a fear of lost revenue from phone numbers on business cards, listing services (i.e. yellow pages), advertisements, etc. While we understand their concerns, we feel that the benefits greatly outweigh the risk. So what are the benefits? In most cases, the primary reason to cut the cord is the related expense. Savings of $600 annually ($50/mo. on average) is a great reason to let the landline phone service go! On the business side, savings can be exponential. For example, we recently helped one of our business clients save more than $45,000 annually by pulling their office phones into NumberGarage™ and forwarding those calls to company-paid cell phones. Here at NumberGarage™, we’re an inbound call service. There are some customers that have asked how they can make outbound calls using their NumberGarage™ phone number. 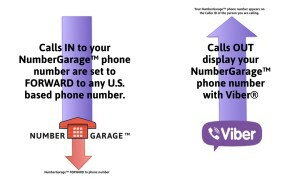 One easy way to do this is to register your NumberGarage™ phone number with Viber®—awesome app that lets its users text, talk and video chat for free anywhere in the world. 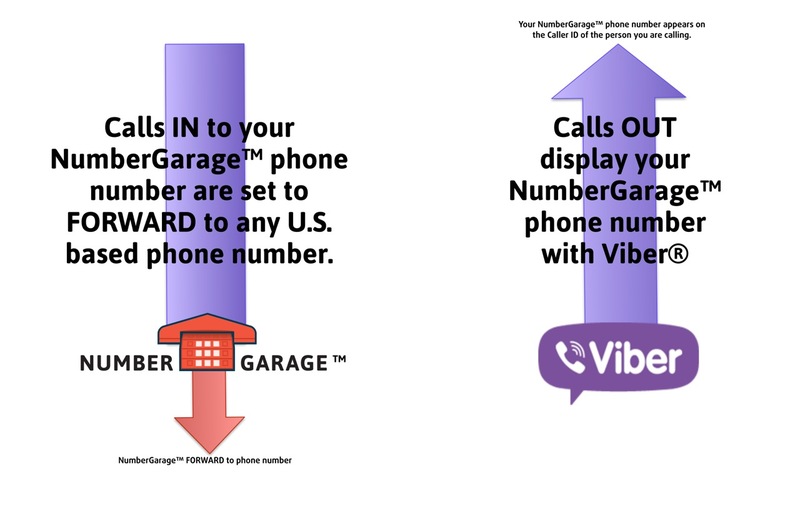 Once you register with Viber® using your NumberGarage™ phone number, Viber® will call with an authentication code. After your account is confirmed, you can make outbound calls through Viber® so that your NumberGarage™ phone number will appear on the caller ID of the person you’re calling. Using Viber® with your NumberGarage™ phone number is just a bonus when you want to make calls using your NumberGarage™ phone number. How Do You Know If You Need NumberGarage™? If you’re moving, living abroad or have too many phone numbers to manage, you might want to learn more about NumberGarage™. We port phone numbers in and forward phone calls out — that’s it! So what’s the big benefit? You get to keep the same phone number regardless of where you live, avoiding all the hassles of changing your contact info. This could mean a short-term solution while you settle in or a long-term opportunity to keep a legacy phone number that’s important to you. Another example of when NumberGarage™ will come in handy is if you decide to live internationally for an extended period of time. In this case, you might choose to reactivate your phone number with a cellular carrier when you return to the United States. While traveling abroad, there are TONS of options to help manage your communications. 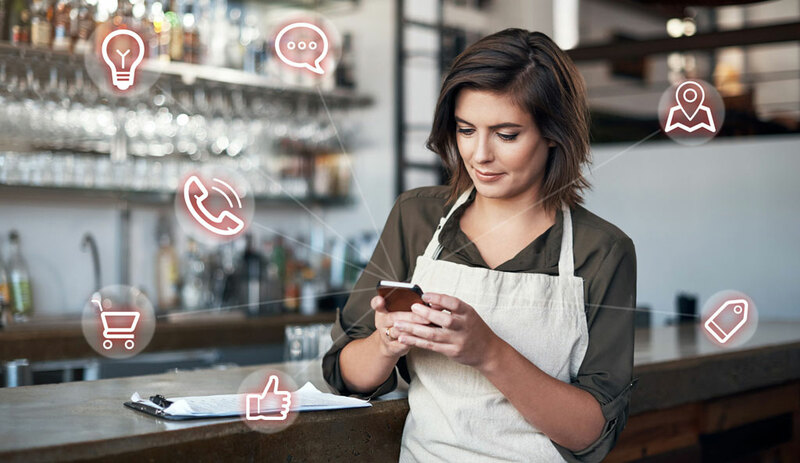 In fact, here’s a recent Forbes article detailing a laundry list of ways to approach call forwarding when traveling: http://onforb.es/1tCUSB5. At NumberGarage™, we like to keep things simple (and affordable!). So what’s our solution? Just forward your U.S. phone number through NumberGarage™ to your Skype® or Google Voice® phone number. It’s arguably one of the easiest and most affordable ways to stay in touch with your callers while you travel. NumberGarage™ is dedicate to helping folks get rid of their landline bill while keeping their beloved phone number, but even we can agree that landline telephones still have one fantastically helpful use – finding your lost cell phone. Aside from learning to stop losing it (and let’s be honest, no one’s doing that . . .) here are our favorite ways to track down the escape artist known as your cell phone without having to pay that pesky landline bill. 1. Our favorite: WheresMyCellphone.com. Just type in your number, click “make it ring!” and start running around your house. It’s free, it keeps your phone number private, and you don’t have to download yet another app. 2. The Find My iPhone and Find My Android apps both use GPS coordinates to locate your phone, which is helpful in cases a little more extreme than your average under-the-bed scenario. You do need another IOS device to use the apps, but the greatest feature is the ability to blast your ringtone at full volume, even if your phone is on silent mode. 3. Find your phone using your psychic abilities. 4. If your phone is really really lost (or stolen. . .), check out MissingPhones.org. Put your phone’s IMEI (serial number) into their database and cross your fingers that some kind soul (or the police department. . .) has found it. You can also use the site to help reunite an orphaned phone with its owner, and even pre-register your phones IMEI. Thanks to these handy tricks, you can save yourself from cell-separation and save yourself some cash. Port? Park? VoIP? Is Telephony even a word?! It can be confusing. NumberGarage™ is here to break it down. These are a few questions you might have while choosing how to manage your extra phone numbers. What am I doing when I port my phone number? Think of it like this: your telephone number is an airplane, and the phone companies are the airlines (American Airlines®, Southwest Airlines®, etc.). Wherever your number is ported (AT&T®, Verizon®, GoogleVoice®, NumberGarage™, etc. ), that entity is providing service to your number for you, just like a plane sitting at the airport is serviced by an airline company. YOU are the pilot, which means you own your phone number. You can choose where to port that number and when to fly away, which in telecom speak is called “porting out.” When you port your number to NumberGarage™, that means we’re servicing your phone number for you. If you don’t have an airline representing and servicing your plane, well, your airplane is abandoned and cannot fly. Your phone number works the same way – if you leave your current phone company without porting your number somewhere else first, the number has nowhere to go – you’ve just flown your plane into the Bermuda Triangle. Always make sure your number is safe in its new port before canceling service with your old provider. What happens when I park my phone number? Once a port is complete you can either park your number or forward your calls to a different one. When you park a phone number you are putting it in storage. Back to the airplane analogy, you would have an airline that still services the plane, it would just be parked safely in a hangar for later use. Simple as that. People park numbers for all kinds of reasons: maybe they’re traveling for an extended period of time, being deployed, or maybe they want to reserve a catchy phone number for a future business venture, or even prevent someone else from taking ownership of a particular number. What is this “VoIP” thing all the kids are talking about? VoIP stands for Voice Over Internet Protocol, which is a fancy way to say talking over the internet instead of over wires up in telephone poles. NumberGarage™ and companies like us are VoIP service providers – we use the internet to meet your telephony needs! Speaking of “telephony,” is that even a word? More telephony terms leaving you befuddled? Check out the Alliance for Telecommunications Industry Solutions (ATIS) searchable glossary here. We at NumberGarage™ love our phones (and YOUR phones! ), but we DON’T love them while driving. Turns out you’re TWICE as likely to crash your car while doing anything on your phone, even checking that two-word text. Check out this article from thehill.com for the stats on how dangerous using your phone while driving really is, and wait until you get home to read that text! To PARK, or to FORWARD … that is the ________ (dilemma)? Do you own your phone number? Of course you do! Just like you own your home … until you sell it, or it is sold for you because you are just too old (or senile) to take care of it anymore. It may be that time of life for you and you will know when to NumberGarage™ your phone number, or help your parents or loved one know about NumberGarage™ PARK or FORWARD services. A phone number is important to you for so many reasons. You may not know what to do with your number, you just want the calls to be answered. Our advice is to NumberGarage™ it, and decide what to do later. Port out anytime with no silly fees for doing so — we are an intentionally simple service for you to use whenever you want. When life changes, and you are told you can’t keep your phone number – AND – you are faced with the decision to have to cancel phone service … you should NumberGarage™ it! You might not know it now, but you will know when to NumberGarage™ your phone number(s). We often hear, “Why would I want to PARK my phone number?” We have two (2) service features, PARK & FORWARD. There are so many reasons to PARK a phone number, and our customers have shared their story to show us how and why they NumberGarage™ PARK their telephone number. The NumberGarage™ PARK service is a service that allows you to keep a telephone number for later use. Like a savings account down at the bank … you save a dollar to be used later. The NumberGarage™ FORWARD service just sends callers to any other US based telephone number. 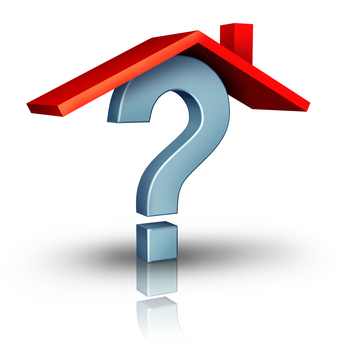 When moving to another location, have you just wanted to keep that old phone number? Many say, “No.” There are those who say yes, and they found us, and they love NumberGarage™. This is also the time to find opportunity with your telephone number. The phone numbers that are good, and are just way too good to let go are perfect numbers to NumberGarage™. We have a customer who owns a plumbing company, and he owns many phone numbers under the NumberGarage™ FORWARD service, and all phone numbers are related to his business. He has purchased all the “GOT-LEAK” phone numbers in his immediate and surrounding area codes. He has other strategies related to phone numbers too. Our advice, if your number spells something, check out phonespell.org to see if you have value with your phone number. Remember to NumberGarage™ it when you need to. The process of downsizing a home of many years, and moving to another location far away or even close by can be difficult to leave a number behind. Many people have been told you can’t take your number with you. How will you make sure your parents stay connected to their lives if your parents, or even yourself find the opportunity to downsize a long-time home? Or, what it you have to downsize quickly and move into a long term are facility? A phone number is our lifeline to our people, and when it is known by many people you can’t just stop service “cold turkey!” NumberGarage™ FORWARD service is the right plan for you if you are concerned about not having time to update all the callers to your number of your NEW phone number. We are here when you want to NumberGarage™ your number. A recent story from the San Antonio news channel 4 is alarming. The lesson learned here is to NOT enter a code into your phone when calling people you do not know. The scam allows others to take control of your inbound calls by taking control of your phone with the *72 code. SAN ANTONIO — We want to warn you about a telephone scam that could trick you into a sky-high phone bill. Jail inmates, and other scammers, have found a way to take control of your phone so they can run up charges. News 4 WOAI Trouble Shooter Jaie Avila spoke to a local man who had it happen to him. Here is how the scam works: The scammer tricks you into calling him, using the code *72. On many phones, that code permanently forwards all of your incoming calls to the scammer’s phone. Earlier this week, Tom Graham was awakened by a phone call, a recording told him it was coming from a prison inmate. Without saying a word, the caller hung up. Moments later a man called claiming to be a prison guard. He said an inmate had called Graham by mistake, but Graham would be charged for the expensive phone call. The guard said he could cancel the charge if Graham would call him back at a different number starting with the code *72. “Being half asleep, I went and dialed it back and I let it ring twice and got to thinking something’s funny, and hung up. But they had me by that second ring,” says Graham. Graham’s phone stopped receiving incoming calls. Once the scammer gets you to forward all your calls to his phone, he gives your number to his friends anywhere in the world. They call him collect, or make long distance calls billing it to your number. He accepts the charges, and you get the bill. Graham’s phone company, AT&T, sent us this simple warning for customers: If anyone calling you asks you to input a strange code into your phone, simply hang up. Fortunately, the people who hijacked Tom Graham’s phone only had time to make a couple of calls before the scam was discovered. While AT&T uses the code *72 to activate call forwarding, you should be aware that other phone companies use different codes for that feature.